Retention Recommendation: The Fourteenth Judicial District Commission on Judicial Performance unanimously recommends that Judge James H. Garrecht BE RETAINED. Background: Judge James H. Garrecht was appointed to the Routt County Court in 1987. Before his appointment, Judge Garrecht was a Deputy District Attorney in the 15th Judicial District in 1979, a Deputy District Attorney in the 14th Judicial District from 1980 to 1982 and in private practice from 1982-1987 with focus on Domestic and Criminal cases. 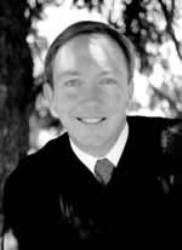 Judge Garrecht graduated in 1972 from Fort Lewis College in Durango, CO and obtained his Juris Doctorate from William Mitchell Law School in Minnesota in 1979. Judge Garrecht presides over all County Court cases filed in Routt County, which include Civil, Small Claims, Misdemeanor, Felony, Traffic Offense, and Traffic Infraction case types. He conducts bench and jury trials as needed. Evaluation Methods: The Commission reviewed written evaluations of Judge Garrecht from attorneys and non-attorneys, including verbatim comments attached to the evaluation questionnaires, as well as written correspondence regarding Judge Garrecht. The Commission also considered a self-evaluation, orders and opinions written by Judge Garrecht. Finally, members of the Commission personally observed Judge Garrecht in his courtroom and conducted a face to face interview of him. Of all attorneys surveyed about retention, 92% recommended retention, 3% not to retain, and 6% made no recommendation regarding retention. Of all non-attorneys surveyed, 79% recommended retention, 13% not to retain, and 9% made no recommendation regarding retention. (These percentages may not add up to 100% due to rounding.) All of the groups surveyed had a sufficient response rate. Performance: Judge Garrecht handles a high volume of cases in Routt County Court and demonstrates an ability to keep cases moving forward in a timely manner. The surveys indicate that Judge Garrecht has the ability to relate to both Attorneys and Non-Attorneys in the courtroom in a cordial and friendly manner. He is consistently described by those who appear in his courtroom as pleasant, cordial, friendly, respectful and patient. Overall the survey results show that he is fair and efficient and that his goal is to achieve an equitable result while applying the law. Judge Garrecht is consistent in his sentences and rulings, reflecting solid knowledge of the law and its fair application. By way of community service, Judge Garrecht currently serves as Treasurer of the Northwest Colorado Bar Association.